"dietitians are small in numbers, we need to be big in our impact"
In less than 30 seconds, fact can become fiction and fiction can become fact. This was a statistic shared at the opening plenary session “Embracing Professional Leadership and Respect” at the 2013 Dietitians of Canada national conference. I found this idea to be particularly thought provoking to our field of nutrition and dietetics. With new technology, pictures, story telling, various on-line networks, social media and charismatic personalities, unregulated nutrition professionals can be incredibly convincing in promoting fiction. Short messages often lack details and evidence unless it is carefully crafted. 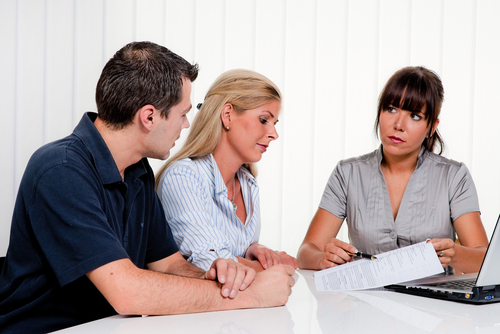 How do our clients (individuals, organizations, companies) know what information to believe? How do you interact with clients who believe or practice behaviours, rituals or use products that are not evidence-based? How do you build a bridge between practices that you do not endorse with healthier, evidence-based alternatives? How are you, as a leader, promoting health? 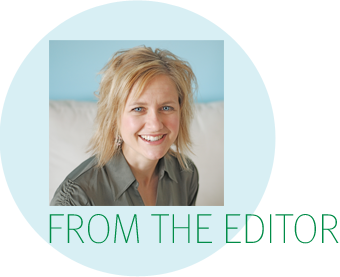 The PEN® team continues to be inspired by fellow dietitians who demonstrate leadership in their work and who take the time to offer an evidence-based voice, even when it goes against what is popular. 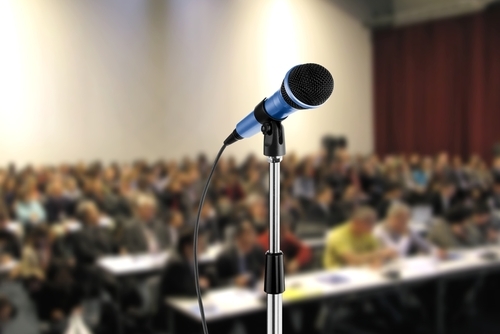 Through speaking up, presenting another point of view, using your own social media, conducting book reviews and your networking, all dietitians have an opportunity to be leaders, to offer ideas that bridge clients back to evidence-based ideas, while remaining open to the evolution of science. Dietitians, whatever face of leadership you have, the PEN® team is proud to be associated with you. This issue of PEN® eNews has articles that will help you position yourself as a leader in dietetic practice. Responding to Misleading Nutrition Info in a Lay Publication via a Letter to the Editor, shows how a dietitian responded to misleading information on cleanses. And YET another thing about bias…Citation Distortion highlights a new perspective on how bias can be introduced in article sections outside of the methods section. In our Knowledge Transfer section, we share highlights from the 2013 Dietitians Association of Australia conference. 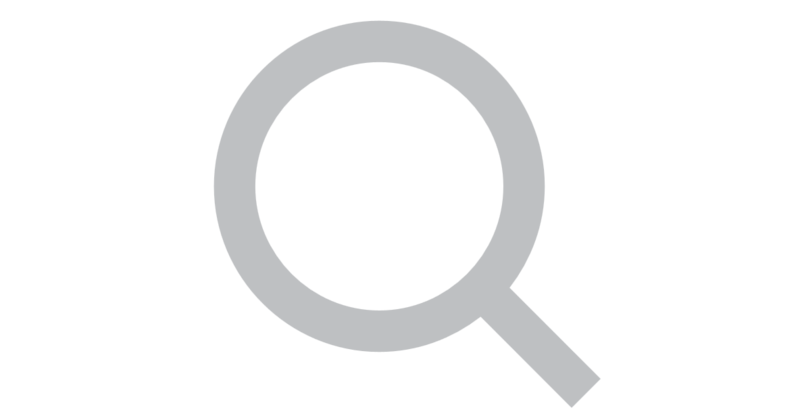 There is also an article on how to use a new search feature available in PEN®. This and more in PEN® eNews 3(2). Below is a quick glance at some of the new and updated content in PEN®. Look for the and symbols in PEN® to see more new and enhanced content! Does early enteral nutrition (initiating feeding within 48 hours of admission to ICU) versus delayed enteral nutrition (initiated within 48 to 96 hours of admission) result in improved outcomes in critically ill patients? Is melatonin safe and effective for the management of sleep problems in children with sleep problems associated with autism spectrum disorder (ASD)? Is melatonin safe and effective for the management of sleep problems in children with sleep problems associated with attention deficit hyperactivity disorder (ADHD)? How should the % Daily Value (%DV) on the Nutrition Facts table be used to help consumers make healthy food choices? Does the use of a continuous glucose monitoring system in conjunction with intensive insulin therapy, including continuous subcutaneous insulin infusion (CSII), result in improved glycemic control compared to the use of basic intermittent fingerstick self-monitoring of blood glucose in individuals with type 1 and 2 diabetes? Are you asked about the efficacy of the blood-type diet? This MedPlus article: No Science Behind Blood-Type Diets highlights a systematic review of the evidence behind the Blood-Type Diet. In March 2013, PEN® PETs [Practice-based Evidence Toolkits] were unleashed! PEN® PETs were developed in response to PEN® users’ desire for quicker access to practical information and guidelines that they could apply in their practice settings, including practice tools such as calculators. You asked, we responded. PETs are a ‘one-stop-shop’ for practice tools and information related to a particular knowledge pathway. They provide practice-based evidence guidance for nutrition care and documentation of the Nutrition Care Process (NCP) using the International Dietetic and Nutrition Terminology (IDNT). PETs replace Practice Guidance Summaries (PGSs) resulting in slight modifications to Backgrounds, (moving nutrition goals and diagnosis to the toolkits). PETs will provide the same information as previously contained in the PEN® database, but in a format consistent with IDNT and with direct access to succinct information dietitians can more easily transfer to their practice. Visit the PEN® Orientation Tutorial page and view Module V: Navigating Through Practice-based EvidenceToolkits [PETs]. How do I…sort through tools and resources on PEN®? The PEN® service has recently launched a new feature: users can now sort tools and resources within a knowledge pathway based on whether they are for professionals or consumers. 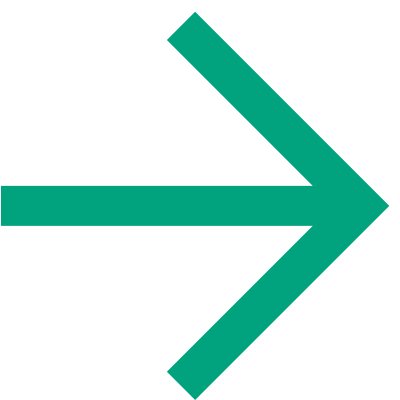 If you go to a knowledge pathway in the PEN® database, on the right you see a navigation menu labeled “More on this Knowledge Pathway” with a list of options below it. Select the link that says “Related Tools & Resources” and a list of tools and resources that are part of that knowledge pathway will appear. To the right of the heading “Related Tools & Resources” is a “Sort by” drop down menu. If you click on the down arrow, you will see a list of options for sorting the resources based on certain criteria. Users were always able to sort the resources by title, resource type, last updated, country and language but now there are two additional options: for sorting tools and resources within a knowledge pathway based on whether they are intended for a professional or consumer audience. If you select “professional” it will separate out the professional resources and present them as a list. If you select “consumer” it will separate out the consumer resources and present those as a list. We hope that this new feature makes it easier and quicker to sort and pinpoint specific tools and resources that you are looking for. 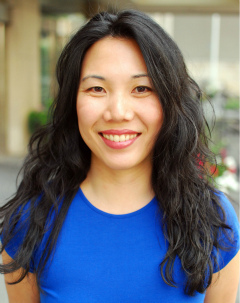 If you have any questions or comments, please contact me at: lisa.koo@dietitians.ca. Reading a health column in Reader’s Digest (Canada), a popular health and lifestyle magazine sold in grocery stores, I saw recommendations for cleansing. They suggested reducing food intake to a minimum, and relying on juices only for up to 8 days, to gain the benefits of reduced “exposure to toxins and allow certain organs, such as the liver, to rejuvenate” (April 2013). There were 3 authors to the article, a yoga instructor whom provided quite reasonable advice, a medical doctor, and a Nutritionist, the latter two whose responses were concerning. Also concerning me was the statement from the Nutritionist, Julie Daniluk: “Cleanses can flush toxic chemicals, such as pesticides and insecticides found in foods, from your system….” She made some statements that I could agree with: “I prefer to avoid extreme programs that suggest low-calorie fasting (such as the Master Cleanse) or strict juice fasts that only fruits, vegetables, and low-fat soups: these can slow your metabolism and cause fatigue.” But then she went on to say: “A much safer approach is a balanced elimination diet that avoids common allergens and toxins to reduce inflammation and boost vitality. Giving your digestive and immune systems a rest – I recommend eight weeks –from gluten, dyes, preservatives, dairy, potatoes, peanuts and refined sugar helps heal inflammatory conditions such as arthritis, asthma, and skin and bowel conditions, and can help energy levels to soar”. Wondering if there was new science that I was not aware of, I went off to do some more reading on cleanses. I found that there is no good evidence in MedLine to support any of these claims. Of concern, some of their suggestions are potentially health damaging. I have had personal experience with the downsides of cleanses as a relative of mine had a seizure during a cleanse, due to hyponatremia. She was in intensive care on a ventilator for 3 days. A very similar case in England ended up with brain damage after being advised to follow a detoxifying diet by a “nutritionist” (1). I decided to write to the Reader’s Digest Editor to clarify the information presented to the reader. While going for a walk, I thought of some wording I would use to approach this. I discussed it with first one colleague (my daughter, a Medical student) and she suggested some more wording ideas. Then I sent my draft to a respected colleague, who further encouraged me. The letter was ready to submit. “Cleansing is: celebrity endorsed, heavily promoted, and is becoming big business. There is no need to give your digestive system a rest, since your body eliminates best when given enough fibre from wholegrains, vegetables, and fruit daily. The foods listed as causing inflammation do not cause problems unless someone has a specific allergy or intolerance to the food. “Cleansing is not evidence-based: no studies document any benefits from cleansing. Your body needs about 0.8 grams of protein per kilogram each day, which for an average woman would be around 45 grams of protein per day. If her daily protein intake is below her daily requirement, her body will meet that need by breaking down muscle. As you correctly point out, the benefits of cleansing are based on anecdotal claims, not evidence from controlled peer-reviewed studies. Even so, most experts agree that avoiding highly processed foods and common allergens over a short period of time is not a bad idea. (It may also help one to discover previously unconfirmed food allergies.) The more extreme versions of cleansing diets can have adverse effects, though, so you’re right to remind us to continue consuming sufficient calories and nutrients to meet our needs. Basically the Editor, in consultation with his or her “experts” agreed with most of our points. I was glad that I had not worded my letter too strongly, had not attacked their “experts”, and that I pointed out an aspect of the Nutritionist’s letter that I could agree to. These factors may have helped the Editor to decide to publish my letter and to agree with most of our points. Overall, I feel that I achieved what I hoped to do: provide Reader’s Digest readers with the point that “cleansing” is not a necessary or healthy thing to do. Dietitians should not be afraid to challenge published information when it is misleading, but critical to your response is to be factual, provide the evidence or indicate the lack of, and be professional in your approach. Dietitians need to meet people where they are at. The word “cleanse” can mean very different things to people, ranging from decreasing processed and refined foods, to eliminating all foods except juices, to fasting, to using the various “cleansing” products sold in drug and health food stores. When a client you encounter is interested in a cleanse, perhaps a way to start is to congratulate them for taking an interest in their health. Clients may answer with anecdotal claims of improvement, and if they had been eating a diet rich in processed foods, one would expect feeling better when improving their diets by focusing on vegetables, whole grains, fruit, lean protein, etc. Even though we don’t recommend “cleanses”, many people do believe in them. So, let us be the bridge back to healthy eating. In previous issues we explored publication bias and the various types of bias that can occur at the level of study design and execution and more recently cognitive illusions. In this issue we discuss another source of bias: citation distortions. We are often trained to critique the methods and results of individual research papers. But how often do we scrutinize statements authors make in the introduction and discussion sections of their original research articles and in their narrative reviews? How often do we check the references that authors’ cite? A recent analysis into the issue of citation distortion has found it to be common in both published literature and research grant proposals (1,2). This may be deliberate (such as to persuade) or from scholarly negligence and cognitive illusions. Regardless, this can result in the creation and propagation of false or unfounded scientific beliefs; which then has implications for patient care and research, funding and policy decisions. Citation Bias – this occurs when those papers that have results that are either non-significant or contradict the belief or position of the investigators are ignored in favour of supportive papers. Amplification – There is an amplification of the belief or conclusion through citation to publications that don’t actually contain any data that address it. Narrative reviews citing other narrative reviews results in even further amplification. Citation diversion – a publication is cited but statements made about it do not match the actual contents of the publication. This is further aggravated when convincing language is used. For example “Thus it has been widely accepted that...X causes Y...”. Dead end citation –papers are cited that do not contain any material that addresses the conclusion or belief. Back door invention – this occurs when published abstracts are misrepresented as full peer-reviewed papers. For example when a citation is represented in the bibliography this way: 2005;62(suppl1):a333-4 it is more obvious that it may just still be in abstract form than when it is written this way: 2005;62:333-334. Abstracts should not be ignored, but transparency is important to differentiate them from full papers. Title invention – this occurs when experimental results are reported in the title of the paper even though the paper itself does not contain the results of such experiments (1,2). As writers, reviewers and readers of the scientific literature and grant proposals, it is beneficial to develop an understanding and awareness of citation distortions so we can discourage its use and help minimize propagation of potentially false (or least unfounded) belief systems. Citations and the patterns of citations communicate and communicate powerfully. Let’s clean up our citation paths! 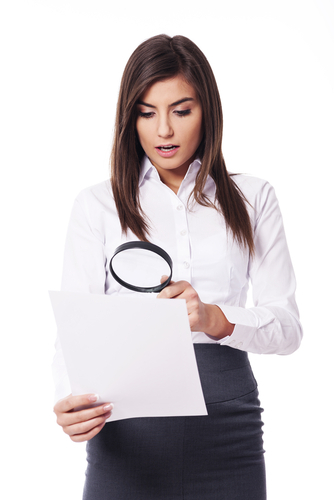 Are you overwhelmed by evidence? Around 77 RCTs and 11 meta-analyses are published each day (1). Yet a recent study by CareTrack Australia, found that appropriate healthcare was being delivered to adult Australians at only 57% of encounters. ‘Appropriate care’ being defined as that which is in line with evidence-based or consensus-based guidelines. So on one hand, there is ample evidence being developed, and on the other, there is a gap in transferring this evidence into practice so that patients are receiving appropriate care. This same study also highlighted problems with current systems of developing, disseminating and implementing guidelines: many are cumbersome, out of date, hard to use and difficult to access. With all the resources that go into guideline development, it seems like a waste to not be able to transfer this knowledge. This is perhaps not surprising to PEN® users! harness the power of the digital revolution. Professor Ian Olver also presented at the same seminar on the Cancer Council Australia’s (CCA) innovative ‘wiki’ guidelines platform. He declared that written guidelines are often out of date before the ink dries. Therefore the CCA together with the Clinical Oncological Society of Australia developed eight wiki guidelines. Similar to the PEN® database, the wiki guidelines are developed by volunteer experts, based on comprehensive literature reviews, reviewed internationally and regularly updated. One key difference is that the wikis are available publicly. The wiki covering the nutritional management of head and neck cancer has recently been added to the ‘Cancer- Nutritional Implications of Treatment’ knowledge pathway in the PEN® database. Prof Bill Runciman. ‘Guidelines, evidence and practice: the way forward in a digital age’ seminar. Australian Patient Safety Foundation, 11 April 2013, Sydney, Australia. We promoted PEN® PETs at the June 2013 Dietitians of Canada conference in beautiful Victoria, BC. There was a great turnout of dietitians visiting the DC/PEN® booth. We learned that there are many dietitians who still don’t know about the Toolkits. Through demonstrations we were able to show dietitians how to find and use the Toolkits in their practice. 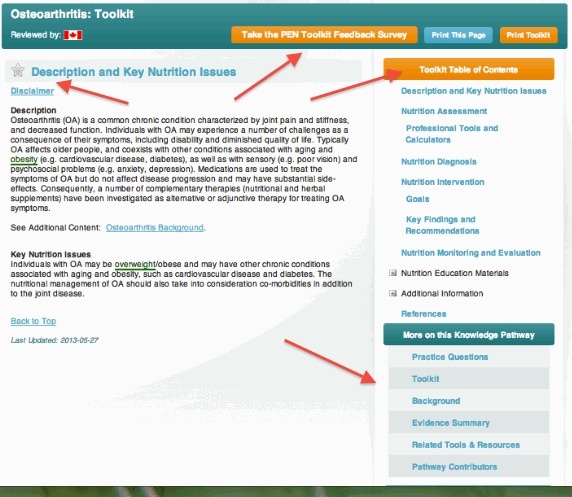 Practice information, tools and resources are all in one place that can be viewed in sections based on the Nutrition Care Process (NCP) or in their entirety when viewing or printing using the ‘Print this Toolkit’ function. PETs use International Dietetics and Nutrition Terminology (IDNT). Easy access to PEN® client and other related handouts. Want to learn more? Visit the PEN® Orientation Tutorial page and view Module V: Navigating Through Practice-based EvidenceToolkits [PETs] or check out the help section on the PEN® home page for details on PETs. Have feedback you would like to offer about PEN® PET Toolkits? Click here to fill out our survey. We received some creative ideas for their improvement. There were two daily 'Toolkit' draws for conference booth participants who provided feedback and congratulations and thanks for the feedback are extended to Julie Meadows and Heather Love our prize winners. For @pennutrition and @dietitianscan it was the best social media week ever! Social media savvy conference delegates live tweeted and used the #dcconf2013 hashtag (a Twitter tool that allows users to follow a specific conversation) to engage and share new learnings with their fellow attendees. In total, there were over 2000 separate interactions on Twitter during the conference! This number describes how many times users, in real time, were going beyond just listening to sessions, but were also sharing presentation insights and personal observations, asking each other questions, supporting and encouraging one another, and just generally having fun! A benefit of following the social media conversation was the gaining of a deeper insight into the true feelings of the participants – both on a micro level (what presentations were most interesting because they had the most Twitter activity) and on the conference as a whole. “Leadership”, “motivation”, “inspired”, “energized” – these were some frequently cited terms amongst the Twitter group. An organic conference theme also emerged, as the message of “being a leader” strongly resonated with those attending. 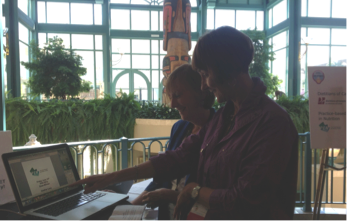 For dietitians who were unable to attend the conference, following #dcconf2013 meant that they too could participate in the conversation virtually. And for our global friends, sharing conference tweets allowed dietitians around the world to observe and “get to know” us Canadians. Here, in their own words, our some reflections from conference attendees (Twitter handles have been removed to protect privacy). Thanks for everything ‪#DCConf2013‬. MAJOR food for thought AND thought for food after that event! Keep crEATing a healthy Canada. DC and the PEN® team will continue to expand our reach with social media and share insights with live tweeting activities, and we look forward to continuing to connect with colleagues from around the world. Why not start practicing your social media skills in preparation for the next event? Interested in conference reporting using social media? We have resources to help you engage in social media professionally and confidently. Click here to read how Tweets spread the word at the DAA Conference. Since eNews 3(1), what have been some of our most popular links clicks through from twitter? • What are the key elements of an assessment on a person whom is overweight? • How do you know if carbohydrate counting is the right approach for your client? • What are the key elements of a food/nutrition-related history in a person with diabetes? 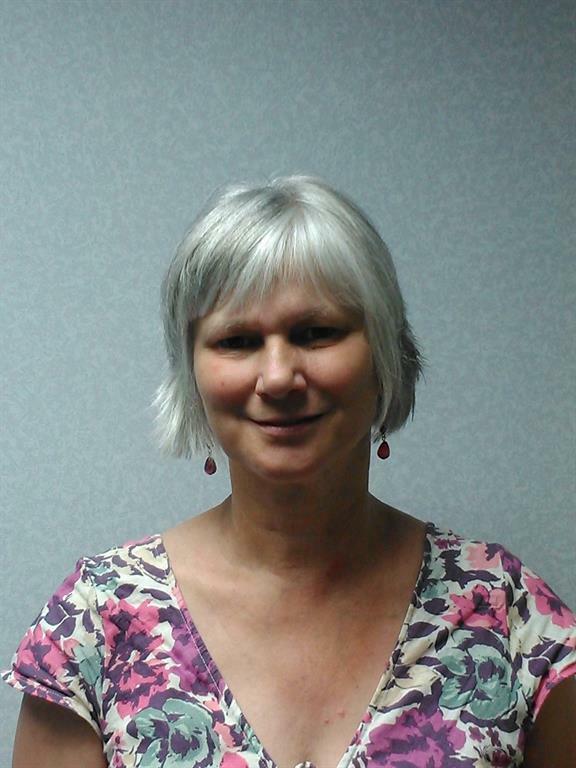 I am the Policy Officer for Clinical Quality and am based within our head office in Birmingham, England. I am part of the Education and Professional Practice team working closely with colleagues across the British Dietetic Association (BDA) Office. We are a small team with a large and complex objective to both support and meet the professional needs of our 7000 members and also to work strategically to promote the dietetic profession. This makes for a busy time where no one day is ever the same. I really can’t say what a typical day is apart from that it will always start off by getting the coffee on and checking out what emails have come in overnight. I am not a dietitian but came to the BDA by a rather circuitous route via pharmacy, via a six year foray into further education and research in earth sciences followed by a short stint in operational research, grade IV clinical trials with a private company then clinical governance, including guideline development and teaching critical appraisal for the next 10 years. It feels like I’ve worked in pretty well every National Health Services (NHS) healthcare setting from public health through to acute tertiary care. I feel that working in clinical governance teaches you to absorb complex information quickly, focus on the task in hand and ask the right people for advice and support…oh and to ask what the question is! All great background for working with PEN®. It was an exciting time for the office when the BDA joined the PEN® collaboration two and a half years ago (December 2010). Since that time, my role has grown to include the BDA operational lead for the PEN® database, as well as evidence based practice work with our Specialist Groups. I see my role as that of a facilitator to make links between the work that our BDA members are doing and the global PEN® team. In practical terms this means matching the people with the right level of expertise, experience and skill with the PEN® content under review and development. So, for example if I know that a member is doing some related work either for a specialist group or a national organisation and there is a call to review a topic in that area from the PEN® team it’s putting the two together. I very much value my personal contact with our members; we have such a great level of expertise and knowledge within the profession that it’s a real privilege to be involved in this work. A key aspect of my role is working with Specialist Groups who are in the process of developing clinical guidance so that we can align our existing methodologies with the PEN® format and processes. This allows us to meet the groups’ requirements and also to build the PEN® content. Clinical guideline development has come a long way since the early 1990’s and methodologies continue to evolve. We recognise that our BDA processes for developing dietetic guidance need to be responsive to these evolving methodologies. BDA Specialist Groups have always risen to the challenge of developing guidelines: Most recently with publication in peer reviewed journals and presentation on a national (England) level*. Whilst guidelines provide access to research evidence (knowledge transfer) they can become out-dated quickly and need frequent review to ensure their validity and applicability. Their development is a time consuming and intensive process requiring specialist skills. The dilemma is how to do this with the increasing pressure on time and resources, taken together with the barrier of lack of accessibility to the full range of original publications that is needed. What the PEN® approach does is to give us a consistent framework and process to aid us in guideline development and revision. As members of the PEN® international collaboration we work with international partners to define the practice questions and have the support of the PEN® team of systematic reviewers who can access, search and synthesize the evidence for us. For dietitians this collaborative approach addresses the challenges posed by the development of ‘traditional’ guidelines of time, resources and access to the evidence base. Another aspect I really enjoy is working with our enthusiastic and knowledgeable PEN® colleagues in Canada, Australia and New Zealand to develop processes for our members to work collaboratively to build the global PEN® content, even though this does sometimes bring its own logistical challenges working across three continents and multiple time zones! Emails come in at strange times and sometimes a whole global conversation has taken place before I have even got up in the morning. My thanks go out to those groups that have embraced this PEN® approach and are taking it forward. If there is anyone out there who is thinking about developing some UK clinical guidance please do contact me. Over 500 delegates from around Australia gathered in chilly Canberra to attend the 30th Dietitians Association of Australia (DAA) National Conference, 23-25 May 2013. “Reflections on the Challenges of Tomorrow” was the theme of the three day conference, which was embraced in nine plenary sessions, 18 workshops, close to 70 oral presentations and over 80 poster presentations. Environmental sustainability and food security were emerging themes of the conference, with over seven oral presentations dedicated to these topics. However, it was Dr. Peter Williams FDAA plenary session highlighting the timely release of the Australian National Food Plan, which resonated with me most. 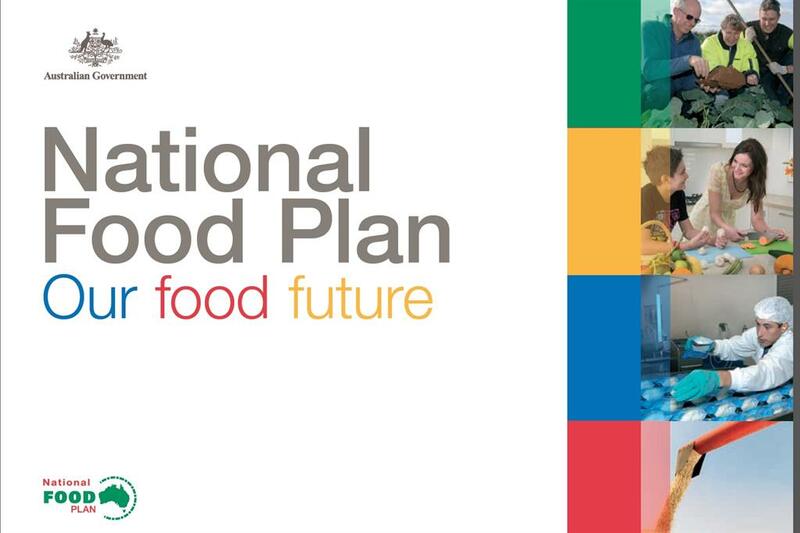 Developed in collaboration between community, industry and government, the National Food Plan (the Plan) represents Australia’s first ever publication of this type. The Plan was produced to ensure Australian policies protect the future of our national food system. Strengthen the presence of Australian food in the global food system. Be competitive, productive and support local jobs in Australia. Support all Australians to have access to safe, nutritious foods. Invest in an environmentally sustainable food supply system. How can you support the consumption of nutritious, environmentally sustainable food choices? The DAA 30th National Conference showcased the diverse profession of dietetics. Topics included food insecurity, policy, malnutrition, innovation in dietetics, maternal nutrition and technology innovation, to name but a few. The program explored the theme ‘Reflections on the challenges for tomorrow’ with speakers highlighting how they are preparing for future challenges in practice. 2013 is the year Canberra celebrates its centenary, so it was fitting to have DAA’s 30th National Conference in our capital city. There were 568 delegates in attendance at the Conference on 23 – 25 May, a great achievement relative to such a small population and being so close to the International Congress of Dietetics in September last year. Delegates were provided with a full program showcasing the diverse profession of dietetics. Topics included food insecurity, policy, malnutrition, innovation in dietetics, maternal nutrition and technology innovation, to name but a few. The program explored the theme ‘Reflections on the challenges for tomorrow’ with speakers highlighting how they are preparing for future challenges in practice. There were three plenary sessions and four concurrent sessions, which equated to 65 individual oral presentations, 18 workshops/seminars with an estimated 50 presenters, and 80 posters presented in the Trade Exhibition Hall over the three days. Dr. Jennifer Wilkins from the USA delivered an interesting presentation on aligning dietetic practice with sustainable principles, looking beyond dietetic practice, which largely focuses on the relationship between diet and health. Dr. Sue Ash discussed where dietetics started in Australia, with roots in nursing management in Britain and food science and home economics in the US. This plenary session fit well with the Conference theme of reflecting for the challenges for tomorrow. Peter Williams FDAA discussed Australia’s national food policy with a focus on sustainability practices, and the challenges of tomorrow for our profession and the public. See more about Peter’s presentation in PEN® eNews. Rachel Bacon APD explained the University of Canberra’s approach to clinical education, running a five week individual case management clinic for nutrition and dietetic students to gain clinical experience in a supervised environment. Jo Mirtschin APD discussed her reflections in a niche industry of dietetics as a food service dietitian. Her plenary session was cleverly titled “Plate to Podium”. Dr Therese O’Sullivan discussed doing more with less, the dilemma for the modern day dietitian, to reflect on at the end of the Conference. DAA was pleased with the widespread local media coverage of the 2013 Conference, gaining significant public and government attention on the issue of malnutrition. Circulation figures for newspaper and magazine articles indicate a reach of 825,000. The conference was also reported online, but DAA has not been able to capture engagement figures for this channel. 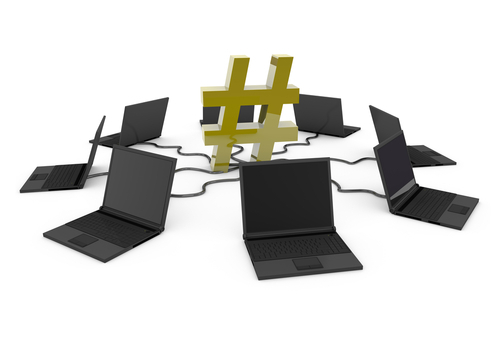 Twitter was the predominant social media platform used to leverage the 2013 conference. The ‘30th DAA Conference’ account: ‘@DAAConf2013’ attracted 132 new followers during the month of May, which made 268 followers in total by the end of May. More than 1,750 Tweets were generated using the hashtag ‘#30DAA’ by 208 contributors during the National Conference week. This equated to an overall reach (total number of unique Twitter users that received tweets about #30DAA) of 100,365 and exposure (total number of times tweets about #30DAA were delivered to Twitter users) of 1.4 million. The DAA Facebook page also provided additional exposure of the 30th DAA Conference to a wide Facebook audience. There were over 400 new Facebook ‘likes’ received during May, making a total number of 7,227 ‘Likes’ (at the end of May 2013), and content posted on the DAA Facebook page during the week of the conference reached 20 countries. DAA member resource ‘Dialling into the digital age’ featured on the DAA Trade Exhibit. Congratulations to the DAA 2013 Scientific and Social Program Committee (SSPC) for their hard work in developing the scientific program, chairing sessions, and reviewing and short listing abstracts for the Conference research awards. Thanks also to the Journal Supplement Editor and Associate Editors for assisting the Committee in the review of abstracts. Save the date for the next DAA National Conference, Brisbane, 15-17 May 2014! 2) Do you help shape our future? Do you work with dietetic / nutrition students or dietetic interns? Want to share an innovative way you use the PEN® database to support student / intern learning? We have published articles highlighting how students use PEN® in their projects and how PEN® is impacting their education and training. We would like to hear YOUR stories! For an article writing template, please contact us at: eNews@pennutrition.com. Do you access by site license? Want to help your staff access PEN® eNews? The PEN®Client Handout Collections are getting re-organized so that they are easier to navigate through and we need your help. We need PEN® users to provide feedback on which approach they find most intuitive. If you are interested in being involved, please contact jane.bellman@dietitians.ca or kerri.staden@dietitians.ca by September 13, 2013. Thanks! How do I….Use My PEN®Favourites?